SSU ScholarWorks is the University's digital archive. It is designed to capture, preserve, and make publicly available the research, creative works, and administrative output of Sonoma State University. It provides permanent storage and access to an expanding range of SSU's intellectual assets. 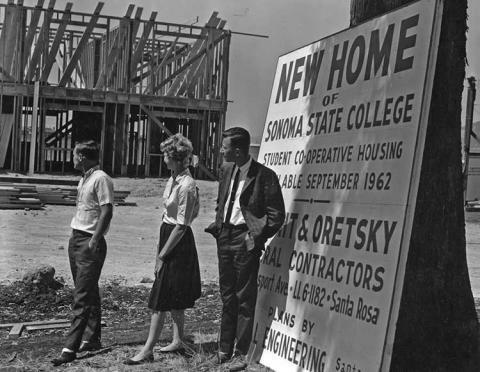 The Sonoma State University Archives preserve material produced by Sonoma State University and its constituent parts. These vital print, graphic and media records document the history, growth, and development of the University and support its institutional memory. The University Archives include, but are not limited to, the items listed below. Also, visit these links:History of SSU,Celebrating 50 Years, and The History of a University Exhibit.